It’s Monday already? Gosh, where did last week go? We’ve been busy in the ‘With A Little Help From Our Friends’ production office (and by that, I mean we’re all working out of our respective bedrooms) and suddenly we’re five days out from shooting. This week is out last chance to get everything in place before Saturday morning. The list isn’t too formidable, but that’s ignoring anything that will go horribly wrong in the next few days. We’ve had a few hiccups but nothing disastrous as yet (touch wood) and we’ve managed to bounce back from that and keep the train moving. We’ve currently raised $1771 toward our budget which is completely amazing considering we thought we’d struggle to hit $1000. Our budget is $2000, so if you’re still interested in helping us out, go and check out the campaign (it’s running for another two and a half weeks). 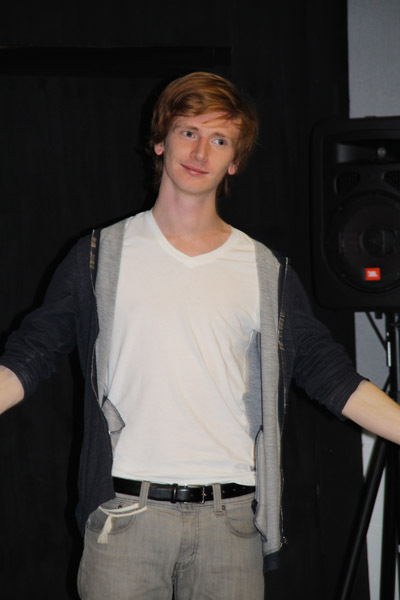 We’re so stunned by the support so thank you so much to everyone who has helped out so far! 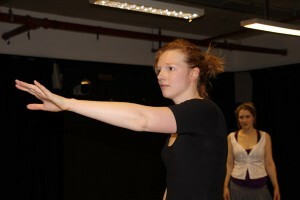 We had our second and final rehearsal yesterday which was pretty exciting. It was great to see how much the story and characters have developed since the first rehearsal a few weeks ago and the script is really starting to come into its own. The cast seemed to be having great fun, judging by the explosions of laughter that erupted after the end of each run through and I must admit that I lost it a few times during a scene and had to compose myself so that I could actually focus on the performances (see below for some ace photos!). Now we’re all about the shoot. Craig is in charge of call sheets and schedules, Jack’s liasing with the locations and I’ve got to finalise shot lists as well as make sure we’ve got all the props and costume we need. This is the week to be organised, definitely, as this is the time when things’ll start to go wrong. But as I told Craig when he called me to tell me that the harddrives we were going to buy for the shoot had leapt up £200 in price because of the floods in Thailand – if nothing goes wrong, then you’ve forgotten something. Lucy (Carolina Main) tells Abby (Victoria Smith) why dating Max is a bad idea. Max (Markus Copeland) tells Des about how he met Abby. 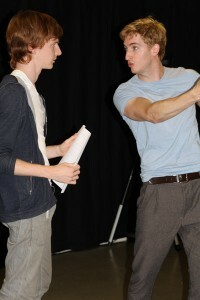 Des (Danny Mahoney) tries to convince Max (Markus Copeland) he’s wrong. 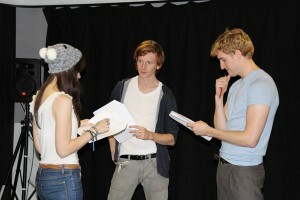 Alli Parker (director) chats to Markus and Danny. 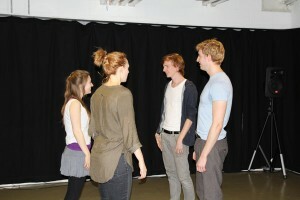 Abby (Victoria Smith), Lucy (Carolina Main), Max (Markus Copeland) and Des (Danny Mahoney). I was going to say the same thing 😀 Love it!